Hydrotech Announces New Protected Membrane Roof (PMR) Planning Guide - Hydrotech Membrane Corp.
Hydrotech, a recognized leader in the development and distribution of premium waterproofing and roofing assemblies, today announced the availability of their Protected Membrane Roof (PMR) Planning Guide, a unique, new resource representing more than 50 years of proven assembly experience across the globe and 35+ years of Hydrotech’s industry knowledge. 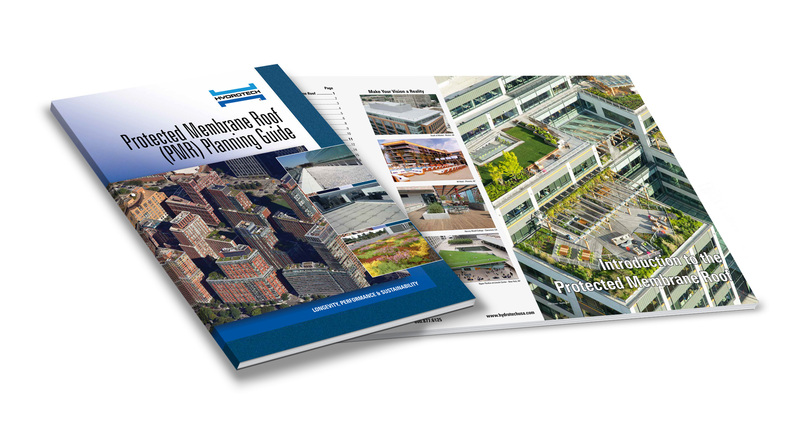 The guide strives to educate architects, engineers, general contractors and other design professionals on the key benefits of a protected membrane roof versus a conventional roof, the technology currently available and best practices for effective installations. Click here for full press release announcement.